We all know the importance of background or prior knowledge to reading comprehension. We know that in order to understand what is read, the brain tries to attach new information to old information already in the brain. This old information is called "background knowledge." Without it, we cannot understand what we read. The same is true for children. Unfortunately, there are not many resources available for teachers and parents to help build this background knowledge. Parents and teachers often wonder, "Just what are the important things for children to know that will help them better comprehend what they read and do well on those all important tests?" That is what this book is all about. It gives teachers and parents over 300 pages of lists, illustrations, suggestions, and activities to help them answer that question. This book is a great resource for anyone teaching reading to children or adults. Also includes pictures without labels if teachers want to use an ELMO for their vocabulary lessons. There are also pictures for your vocabulary centers. A must have for your guided reading center and shared reading area. When students don't know what something is, I just show them. A picture is worth 1,000 words. 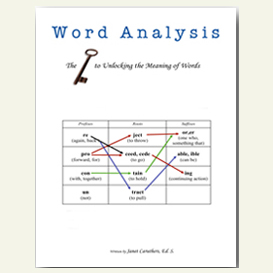 You''ll have fun helping students draw and label their way to a better vocabulary. The most fun you will have teaching vocabulary. 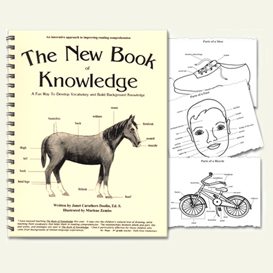 Over 300 pages of illustrations with parts labeled, lists, activities, and lessons to improve both reading and writing. There''s even a Spanish translation of the labels. This book will help if you are teaching reading to a person of any age or someone trying to learn our language. Can also be used as a literacy center. Every sub needs this book. Imagine 100''s of lessons you can pull out of a book with no preparation time, no supplies (other than paper and pencil), no time at the copier. Best of all, kids love it because they get to draw while learning about things around them!